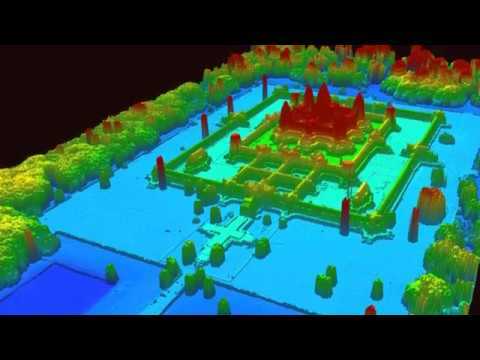 LIDAR is a new high-resolution tool used for surveying landscapes that is revolutionizing the world of archaeology. New archaeological discoveries are no longer dependent only on Radar, or even hiking through the jungle and digging things up. 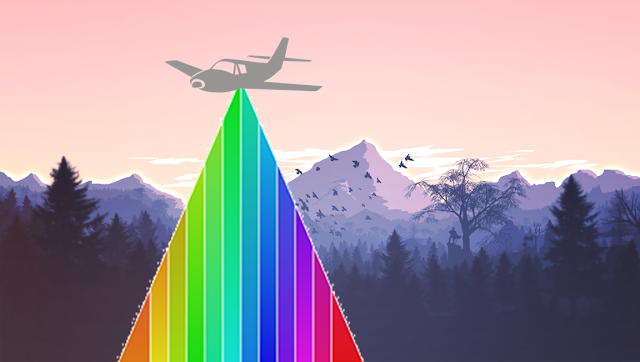 Thanks to advances in technology, LIDAR has literally shone a light onto entire civilisations that were previously unknown – pun intended. When compared with previous techniques of surveying ruins, a team in West-Central Mexico had taken 2 seasons to survey just 2 square kilometers. However, with LIDAR technology, they were able to map the entire city in just 45 minutes. LIDAR, which stands for Light Imaging Detection and Ranging, makes use of laser pulses to create a detailed ground map of the surface below. This is done by measuring the differences in wavelengths and return times of each pulse to map out what the target area might look like. This technology can be used over land or even over water. With the advances of this tool, archaeologists no longer have to hack through jungles or trudge across deserts in search of what they are looking for. Here are just a few of the amazing discoveries that have been made with LIDAR technology. Many of us are probably familiar with the sprawling Angkor Complex in Cambodia. Angkor Wat is the most famous structure in the complex, and is the largest religious structure in the world. 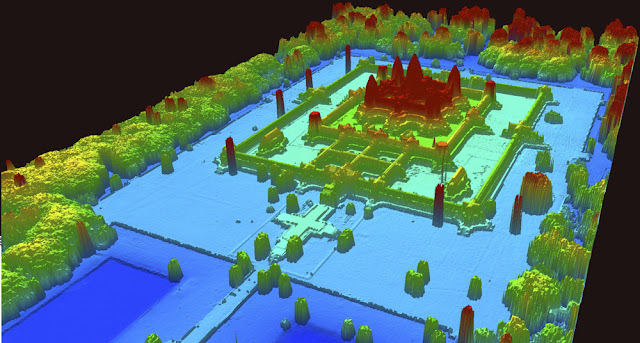 Now with the help of LiDAR, lasers have revealed an eleboarate network of undocumented temples and boulevards, extending far beyond the known Angkor Complex. While the finding of this lost city in the Cambodian jungles has provided a lot of information about Ancient Angkor, it has also shown us just how little we know about this powerful Medieval Empire. In Denmark, a perfectly circular fortress was discovered with the help of LiDar imaging. 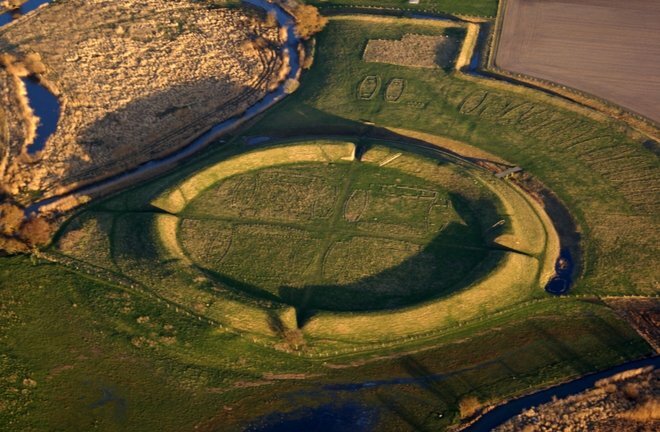 This is the 5th Ring Fortress to be discovered in Denmark since the 1930s. The fortress has a diameter of 144 meters, with 4 main gates and paved wooden roads. The fortress is over a thousand years old and is likely to have been built by King Harold Bluetooth Gormsson. The discovery provides new insight into how the Vikings may have lived during that time. With a combination of excavation and LIDAR Technology, its possible that many more exciting discoveries await. With the help of Lidar, researchers have been able to take a peek beneath the canopy of the lush Guatemalan jungles and were astonished by what they found. 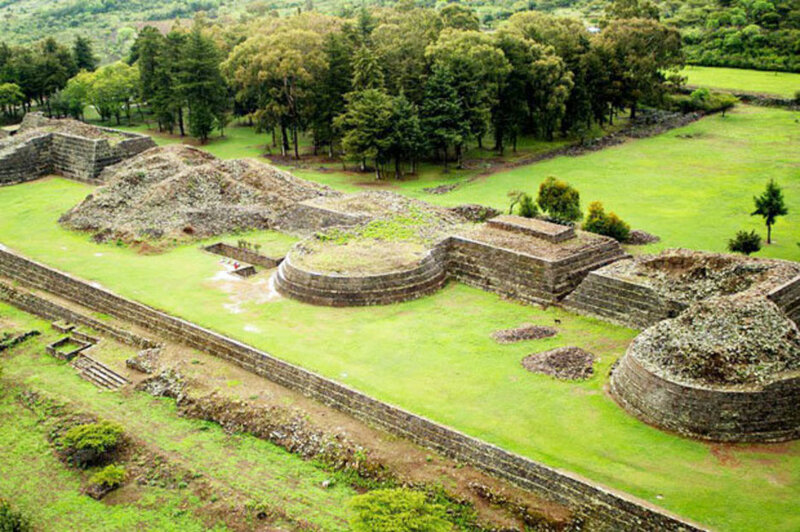 Despite having studied this area on foot for decades, a vast Maya metropolis of connecting cities had managed to go unnoticed. 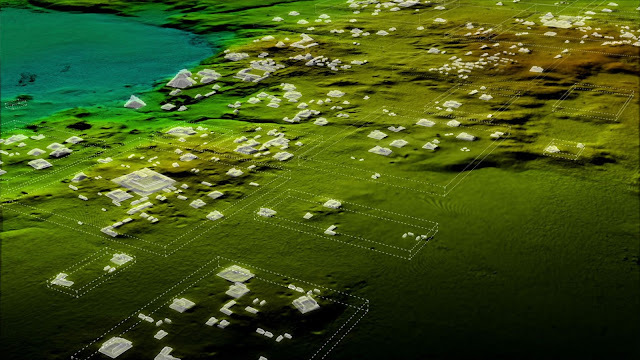 The project mapped over 2,000 square km of the Maya Biosphere, producing the largest data set ever used for archaeological research. The Ancient Maya empire was once thought to be of equal size to Medieval England. However, this new research shows the empire to have been extremely sophisticated and advanced, and could have easily had a population of up to 20 million people. Just a few months after the fascinating discovery at Tikal in Guatemala, scientists have employed the same technology to uncover an ancient city in Mexico. LIDAR technology has helped to map an area with over 40,000 building foundations which had been covered by lava over a thousand years ago. Despite being located in a frequently travelled area Mexico, the existence of this city had previously been unknown. The city was also found to have a rather unusual layout with its pyramids and temples located at the city’s edges rather than concentrated in the center. Earliest evidence of the city dates to about 900 AD. Those are just a few of the interesting discoveries made with LIDAR. With the rapid continuous and rapid advancements in technology today, who knows what other secrets we may uncover hidden all around us. Covered all the part. Awesome post. BIM, Denver, Colorado is the great way to take your project done. You can design your project, and find out the fault and reconstructed your project.